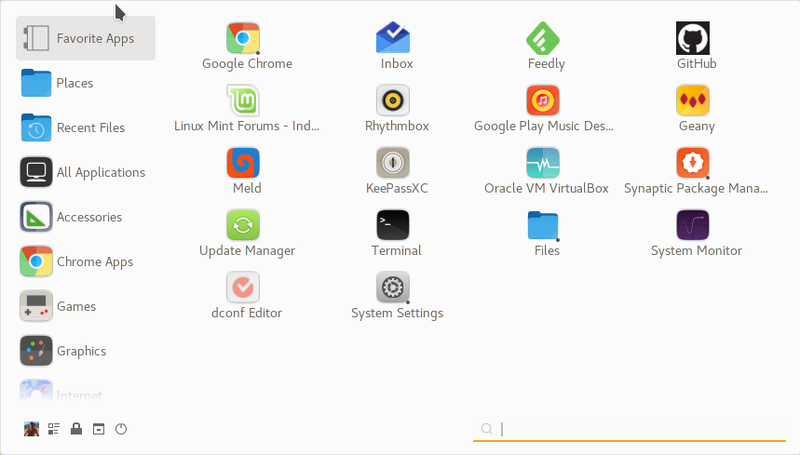 I need to make the menu icons larger in my newly installed Mint Cinnamon 19. They're tiny, and quite difficult to tell what they actually are. Some of my issues with everything being too small may be from me having a 1440p monitor. But so far I've been able to remedy them. Except for the tiny menu icons. The ones on the far left are all tiny, and the ones that go under the search bar and "All applications" are also tiny. They're even tinier. All you can see is a small blob of color lol. 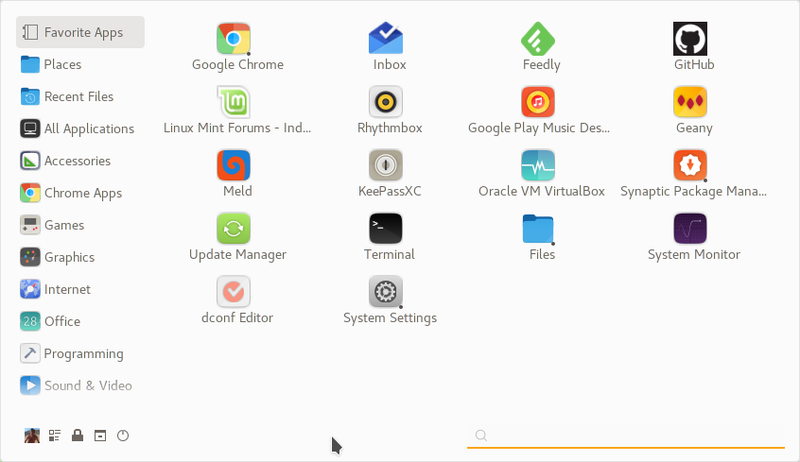 Can anyone tell me how to increase all the icon sizes in the Menu? The icon sizes are hardcoded in the stock menu. There are two alternative menus available for Download via the Applets setting module. Both allow for much more configuration of the menu via right-click on the applet icon > configure than the stock menu - including icon sizes. The former (Cinnamenu) is most configurable in this regard. Thank you for the help, it is much appreciated. I may end up using one of those if I can get it in black or dark grey, whatever the oem mint color is for the menu panel these days. I really like all the dark colors, I find it much easier on the eyes. But ugh, I've been having sizing issues for 3 days. I think most people would've given up by now. But I'm that sick of microsoft's $*%# that I'll keep working on it and working on it until I make it work. I finally figured out that my main problem with the whole ordeal, is that my resolution setting was set to 1440p. What confused me was I had found some other setting via linux (and not the Nvidia driver) which would not let me change the resolution setting. So I thought it was stuck and went about trying to just deal with it. Finally checked the Nvidia drive and what do ya know, everything is much better on 1080p settings. Much larger. Even the menu buttons, while still small, are tolerable now. I could learn to live with it. Reminds me a lot of the Xp days lol. Now hopefully the settings stick when I reboot, as the first time I rebooted it seems they reverted for some reason. Now I've just got to figure out why firefox is huge. The entire top panel in firefox takes up about 1/5 of the screen lol. I wonder if I'll ever get all these size issues solved. Its made the transition from windows... strange. You'd think it would be other things but nope, its all just size problems. The rest seems fairly straightforward. I've even been using the command line for all manner of stuff. Not really a problem. Just that it just can't seem to do size settings the way you'd think it should. You change one thing, and then something else goes nuts. Even icons will disappear off the screen, only to still be on the desktop somewhere. As I said I now know why Microsoft just doesn't do this stuff. They probably don't want to touch it with a 10 foot pole.